The Grandview Woodland Food Connection fully endorses the Living Wage Campaign. We are a neighbourhood organization in East Vancouver dedicated to supporting and promoting an accessible, just and sustainable food system for our community. We aim to address social concerns of isolation, health, and economic well-being and support grassroots initiatives to address food security and justice issues. Food security is closely connected to income security. Without access to a livable wage, individuals or households will have difficulty accessing healthy and affordable food. Many community members that we have spoken with have told us that improving their income levels is crucial in achieving food security for themselves and their families. Community members living with food insecurity experience higher levels of poor health including chronic illnesses (diabetes, heart disease), obesity, and depression. According to a report by the Public Health Service Alliance, almost 40% of households with an income below $30,000 were food insecure. Of those on welfare, almost 60% were food insecure. Food prices are increasing dramatically around the world and here at home as well. The most recent Cost Of Eating in BC report 2007, reported a 9% increase in the average cost of food and that was prior to the 2008 food crisis. A family of 4 on a low income in 2007 would be spending roughly 30% of their income on food whereas 15% is considered reasonable. Add to this the high cost of shelter and families are having to choose between shelter and food. It is evident that low income levels that keep people in poverty result in poor health outcomes. By improving income levels for those at the low end, we could improve people’s health and save millions in health costs. 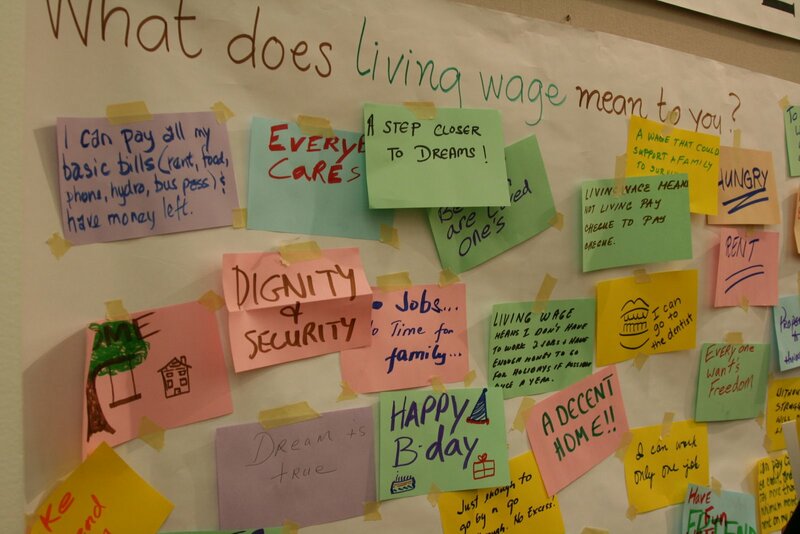 Therefore, the Grandview Woodland Food Connection supports increasing the minimum wage to a level such that British Columbians working for minimum wage are not required to live in poverty.